Slightly tangy with a subtle citrus zing, this herbed veggie dip recipe is an easy crowd pleaser that requires absolutely no cooking. Simply whip together and serve with your favorite frills. It should be no surprise that we love to entertain with fresh herbs. 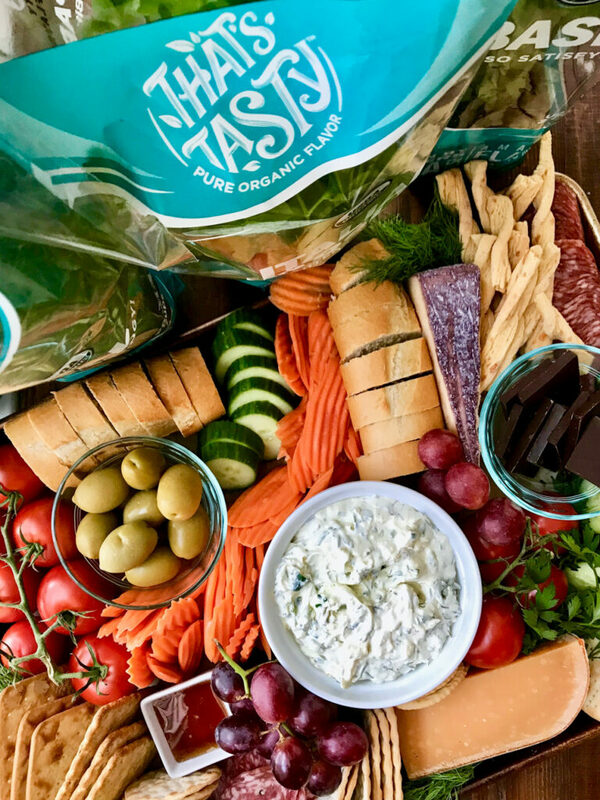 From beautiful bouquets of basil to dynamite party dips, we know a thing or two about setting up a crave-worthy appetizer arrangement. Fresh herbs add a pop of flavor to any dish… so pile on those luscious leaves and get ready to tantalize your taste buds. 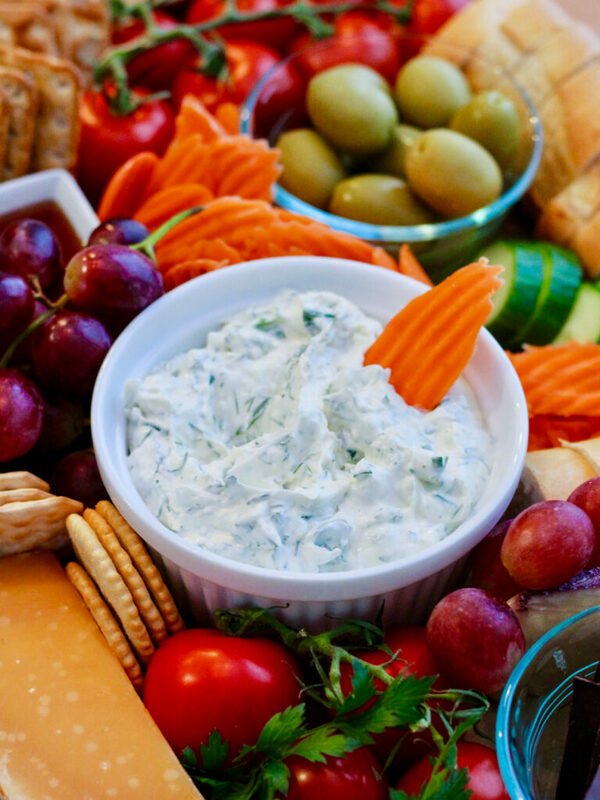 This stress-free veggie dip recipe can be assembled in less than 10 minutes. All you need is a large bowl and your favorite mixing spoon. It’s seriously that easy – dip, dip hooray! 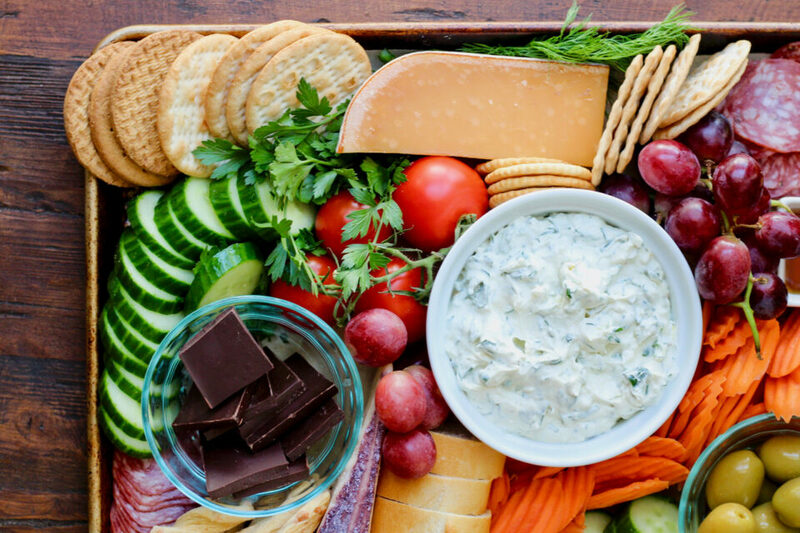 Serve this swanky spread at your next get-together… and watch your friends eat their body weight in dip. With minimal effort (and maximum flavor), this recipe is the perfect addition to your next tailgate party or holiday fiesta. Gently fold all ingredients together in a large mixing bowl. Transfer to a serving dish and enjoy immediately. Please Note: If you are making this recipe ahead of time, cover and refrigerate until you’re ready to serve. You can make this dip up to a day in advance. 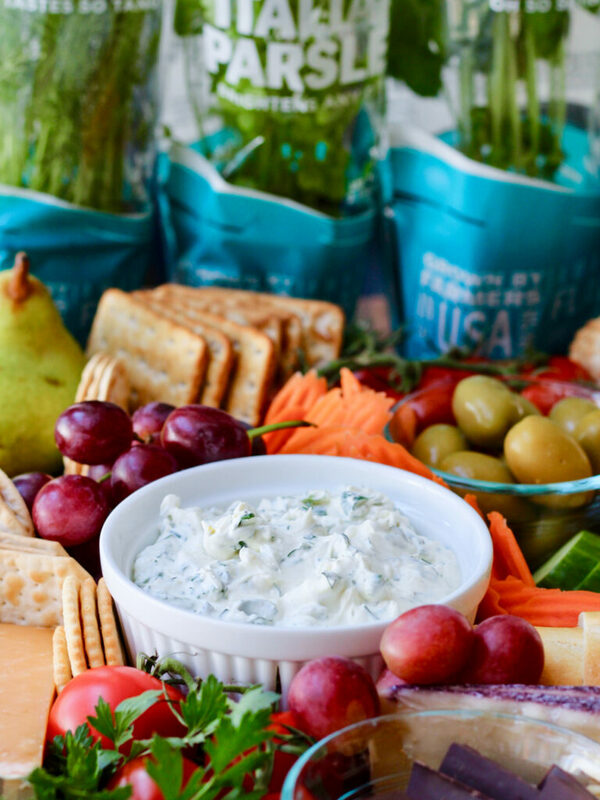 To Serve: We recommend plating this dip with your favorite veggies, crackers and other dipping vessels. 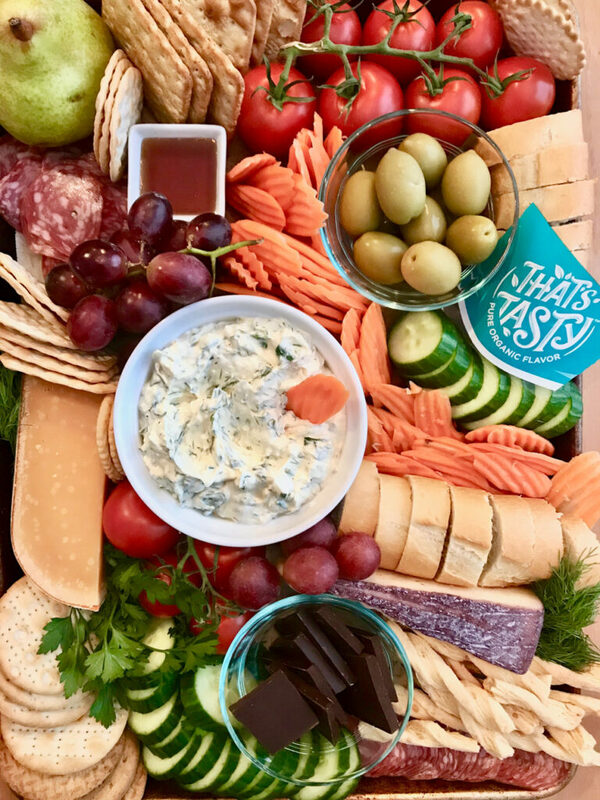 Pictured here are carrots, cucumber, tomatoes, grapes, salami, a variety of crackers, cheese straws, cheese, olives, honey and dark chocolate with sea salt. For garnish, we used fresh dill and flat-leaf parsley. Find our fresh herbs in the produce department of your favorite grocery store. For your convenience, we offer herbs and microgreens in fresh cut varieties as well as living plants.